The death toll from the Camp fire burning in Northern California jumped to 42 after officials found the remains of 13 more people Monday, CNN reports. “My sincere hope is that I don’t have to come here each night and report a higher and higher number,” Butte County Sheriff Kory Honea said at a Monday night news conference. The Camp fire set another record earlier Monday, becoming the most destructive fire in terms of the number of structures destroyed in state history. It has razed a more than 6,700 buildings, ABC 7 News reports. Much of the damage caused by the Camp fire was concentrated in a California town of about 27,000 people called Paradise. 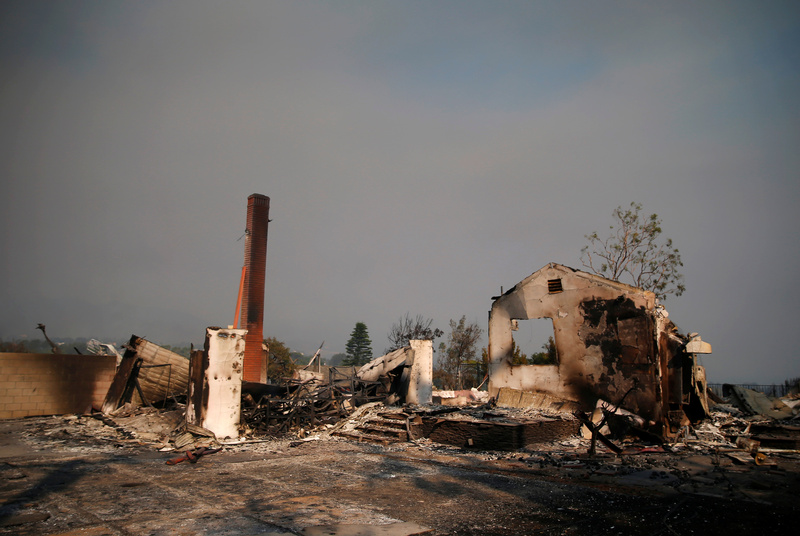 The fire tore through the town, destroying 95 percent of its structures. “There is no housing to support a population to support its own economy,” Kit Bailey, assistant chief at the state Office of Emergency Services, told the Los Angeles Times Monday. Stories and videos capturing the chaos that has consumed many Californians in recent days have surfaced on the internet and in news articles. One lady filmed her family’s escape as they all drove down a highway edged in flames. Another recounted her story later, she was alone in her car and surrounded by flames. In a last-minute phone call, her husband told her “If you’re going to die, die fighting.” She ran from the car and found a group of firefighters that ultimately got her to safety, according to CNN.